As someone who worked on an oil rig for some time, and started making sculptures as a hobby, Ronald A. Westerhuis has come a long way. The working environment defined by massive structures and stainless steel has led him to his experiments with forms, shapes, and material, with which he was thrilled. 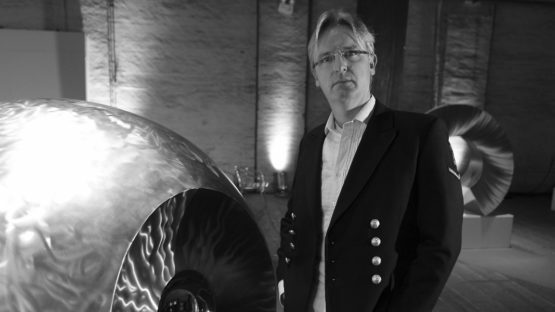 He began to create monumental land art pieces, by using and discovering the possibilities metal can provide. It is cold, indestructible, hard as sensitive and vulnerable, the medium that offers so many options for creativity and imagination. The look for lines, gravity, new techniques, and balance allow the author to produce elements that give positive energy to the surroundings. He was born in 1971 in Thiel, Netherlands. The restlessness of this sculptor has taken him around the world since he was 17. First, he went to Venice, and then he continued on seven years long journey, moving from the USA to Aruba, Mexico, and Asia. Eventually, Ronald ended up working in the offshore industry, on oil rigs around the world. It was here when he got fascinated with stainless steel that he decided to rent a workshop and start his own project. In this way, Westerhuis began to explore his inner self, together with his own identity. The forms and structures this material provides open numerous aesthetic aspects that help him establish his visual language. The size and the shape of a sphere transform his art into landmarks, looking as if it is an integral part of the surroundings. Since 2000 this Dutch has created several international landscape objects, all starting from a sketch. Westerhuis gives a lot of attention to the size of his artworks, and plans for making sculptures as big as the Eiffel Tower just confirm this. One of them is designed for the Hardanger Fjord in Norway and it is no less than 300 m high. In some way, this creation will contribute economically to the locals, as it will attract tourists. 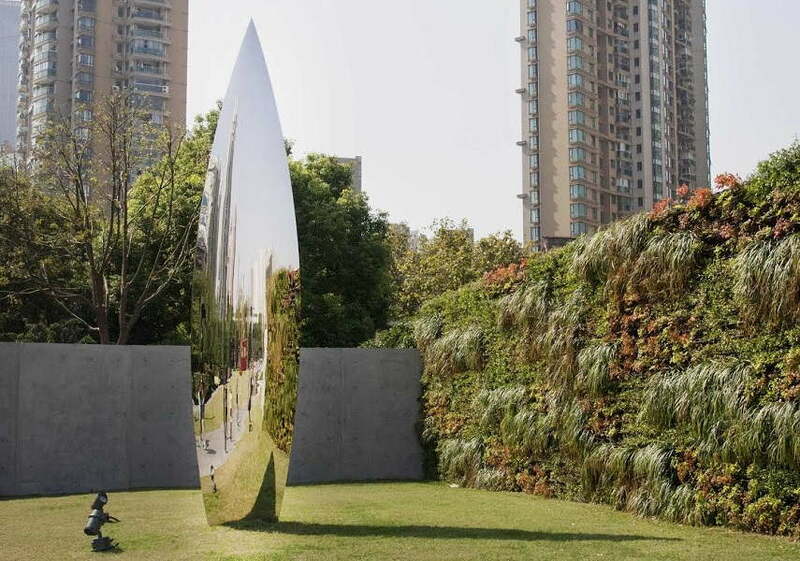 Another piece called MH17 Monument is a tribute to 298 victims of flight MH17. The steel used in this case symbolizes grief; the acoustics and curved lines enable the momentum of silence, as a sign of respect. 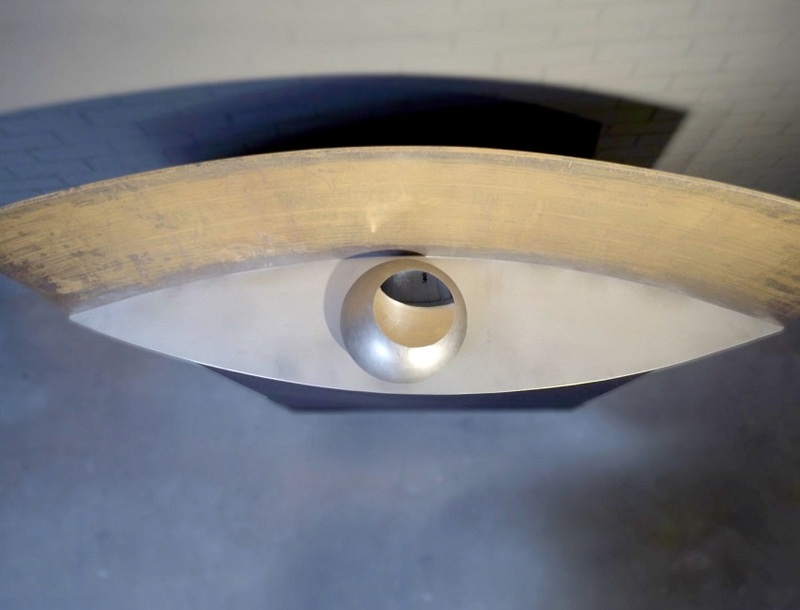 In the central part is the eye, which is the focal point that helps the visitors to feel the connection with the victims. The author is always moving from one part of the world to another, he creates in Shanghai, as well as in Europe. His sculpture RAWSOME! 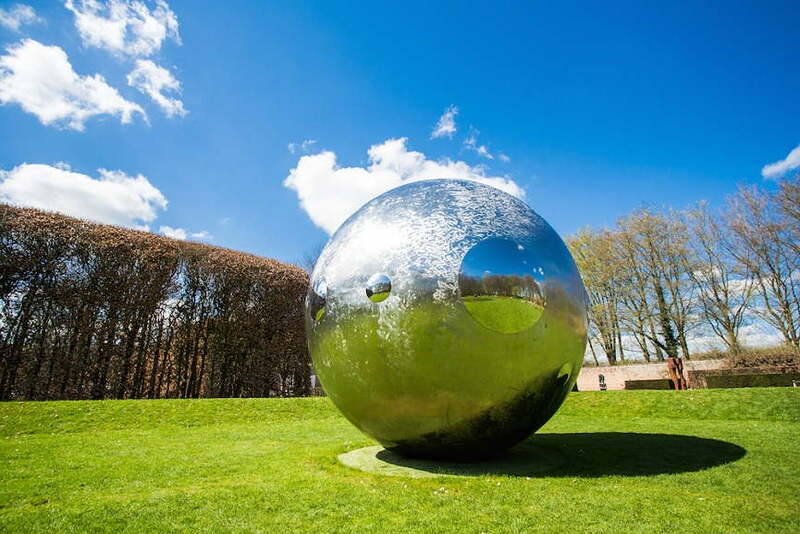 now located in the garden of Nijehuis, has been shown at the LowLands music festival in 2010, 2011, and 2012. Ronald’s art has also been displayed at the exhibition Expo Milano 2015. Apart from these places, the sculptor’s works are part of private and public collections like the one at the Museum de Fundatie. He is represented by the Galerie Hegemann. Westerhuis’ home is in Zwolle, Netherlands.